Oil from the Palma Christi plant. 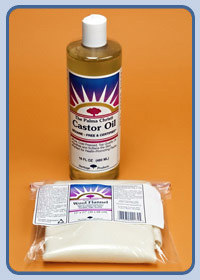 For use in Castor Oil packs. Natural, unbleached wool. Used in castor oil packs.